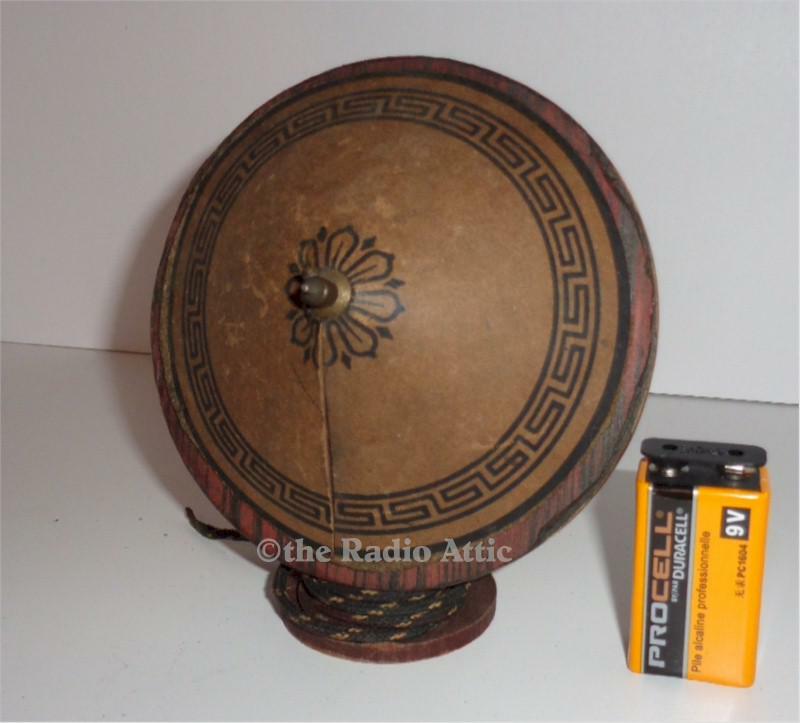 To see more of this seller's radios, visit Jeff Buda's Radio Attic. I am reluctant most times to call something "rare," but, this is the only example I have ever seen of this speaker. It is a true survivor indeed. Fully intact and no damage to this little artifact. Only 5" tall and 4-1/2" wide. Original wires still intact. I have only displayed this and have never attempted to use. Truly unique! You are visitor number 1,220 to this page.